There's nothing like a really good book that keeps you hanging on every word these days. 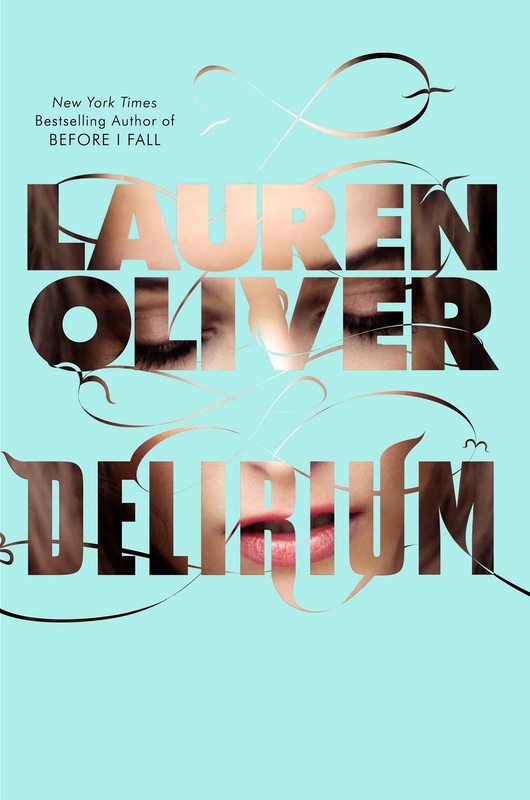 Each and every word of Delirium, by Lauren Oliver shows you a knew meaning of the word, love. Every part of me is loving this new YA genre of Totalitarianism and Dystopian societies. Throw in some major romance that is the key to beginning to beating the system and you have a magnificent and intriguing story! Lauren Oliver captivates you as you go with Lena through what seems to be the best life that she will lead--a life without love or Amor Deliria Nervosa as they call it in this story until she falls for Alex. Alex, the boy who resists while hiding in plain sight. Lately, a big part of my writing self is noticing that a lot of stories these days by published authors seemed rushed. They either have a really compelling plot and no character development or they have way too much characterization going on and no plot. It's a difficult task to get the two elements of a story weave so well together that they push each other along. Lauren has achieved this on a phenomenal scale and it is so well written you won't put it down until the end. Even then, you'd want to pick this book up immediately and read it again and again. The storyline grabs you at the get go. A life without love? Seems like walking zombies to me. Not much emotion since love drives almost every emotion. Love for sports, a love for your family, your spouse, your boyfriend/girlfriend, a love for your pets, etc. If you're team loses, you're angry and upset, but not in Lauren's world. When once you're eighteen, you are "cured". I love at the beginning that Lena is so anxious to get her procedure done and become like her older sister and her aunt and leave that love behind so willingly that the further you go, the more the countdown is dreaded. These characters in the story at first really didn't grab my attention. There's Lena, our heroine that can't wait to get her procedure done and in fact, isn't scared to get it done. Her fight to love later on through the story and every little thing she does in the name of love makes her grow more and resist harder than ever before. She is our Juliet in this story. And Hana, Lena's best friend since the second grade. Hana is described as one of the prettiest girls in Portland, Maine, but despite the fact that she shows rebellion, doesn't mean she wants that life. But her undying friendship loyalty and love for Lena shows that even Hana is willing to risk everything for love. Alex, another cute guy in another novel. Yup, that's him. At first, I hated his character. I hated that he wasn't a nerdy guy or a geek kind of guy. This guy has charisma, and yet, he is also very sensitive and sweet and tender. Here is our Romeo for this story. Only until halfway through the book did I start to like him more. To really appreciate him for who he is as a character. I don't know if it was meant to be written that way or not, but Lauren sure did make it much easier for me to fall for Alex later on. Gracie. Lena's cousin. Her sweet little cousin who doesn't say much has got to be the strongest character I have every read that has been written. Only five to six years old and doesn't speak but you can see through Lena's eyes that Gracie is absorbing everything around her. And also how much she really looks up to Lena and what Lena means to her. I can't wait to see more of Gracie--or I should say, I hope that we see more of her later on. Really, this book made me dream about it countless nights in a row. It made me look at love in a new light and to appreciate what I have and who I have to love and even all the emotions that go with love. So, seriously, I recommend this book to everyone who loved Before I Fall or whoever just loves a really good romance. This is a definite must read. I don't think I can wait until next February for book two to be released! In My Mailbox is a weekly meme hosted by Kristi at The Story Siren. It's a great way to share the books you get each week. Sorry it's a day late, folks! Things have been busy. If you're into the Dystopian genre with Romance thrown in as a major component, then this is the perfect book to fit for both of those genres. Honestly, as soon as I read this summary, I fell in love with the storyline of a society where you are told what you do and who you love and what you learn and what you wear everyday. I also fell in love with the cover. Such a simple, yet compelling idea. Another truth from me, this book took me a long time to read. It is pretty slow but Ally Condie's voice and word choices are like good poetry. It flows well and smoothly and there is major character development throughout the plot. From everyone, even from the main character's, Cassia, dead grandfather. Yet again, here is a young adult romance that is destined to have people choosing sides though, Xander or Ky? Don't ask me because both characters are the embodiment of Prince Charming in disguise and there is no way I could choose at all. Like I said earlier, every character, every piece of the world is so well described and so well laid out and so well developed that you are captured in all of the technology, no matter how simple it may be and also just the idea of what a world like this would be like to live in. With all these futuristic stories coming out with possible things that could happen--such as The Hunger Games and even pieces of The Maze Runner--every one of these authors creates a world which it is so believable and so real while you're reading you can almost believe you have entered into that new way of living and go about trying to wrack your own mind of coming out of it and back to reality that it hurts and you need more. 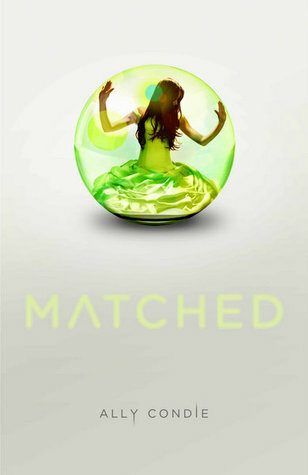 Ally Condie did that with Matched. With all of Matched. Her "Society" is so scary real that I almost believe for sure this is what could possibly happen if a "socialistic" society actually took complete control and power over the world. I came out of reading this story every day I read it and watched the news. I didn't use to mind watching the news, but Matched made me more aware of what is going on with what our possible futures could be like--now the news is scary to me. I LOVE the characters. Cassia, our lovely "go with the flow" kind of girl who is so excited to be "Matched" to the boy she will marry, and to find out it's her best friend is better for her and then a flash of the face of another boy she knows makes her mind wobble away from the "flow" of her life within the Society. Just her own conflict inside her own being is wonderfully written and told that I wish I could interview her in real life. And since I like to repeat myself, Ky and Xander are both completely different boys in this story but both carry themselves has Prince Charming's in disguise. The plot was slow in this story, but that always goes along with world building and making sure you are sucked into the Society in this story and part of the people that live amongst it. But it is a strong plot of quiet defiance and of strong wills. It is very compelling and I love it. While I was reading this book knowing it was a romance written in first person from Cassia's view, I kind of expected to read something along the lines of the romance heat that presents itself in Twilight. This book and story are so completely off the rack of Twilight's version of romance that it made me happy to realize that the author, Ally Condie, could in fact actually help us all believe in chivalry again. You know in the olden days where people were chaperoned while courting? Where a touch of the hand and a brave young man risks everything--including his own life--because of his love for you? Ally Condie has recaptured that chivalry through Ky and Xander both. I have to say thank you to Ally for making this story so innocent in the romance and so compelling in this story that I can't wait to read the next book. And seriously, I suggest that everyone read this. It's fabulous writing, irresistible characters and thrilling plot of quiet resistance will make you want it the sequel now. In My Mailbox is a weekly meme hosted by Kristi at The Story Siren. You can learn more about it here. No vlog this week, partly because I only got one 'real' book, and partly because my throat is really sore - I hope I'm not getting another cold! 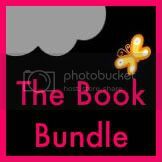 I got a couple of ebooks for review this week. First was 'Island of Icarus' by Christine Danse from Carina Press on net galley. It's set roughly in Victorian times, and is about a man who gets shipwrecked. I also got an e-arc of Wilder's Mate, by Moira Rogers, which is about a Hound (a bit like a typical werewolf, but not quite) and a girl who go to try and rescue someone, and have to learn to work together on the way. I've read this now and I really enjoyed it, so I'll be posting my review nearer to the release date. I've heard lots of good things about this, but I didn't really know what it was about. So when I saw it the other day, I read the blurb, and thought it sounded really cool, but it was hardback, and harbacks are expensive. 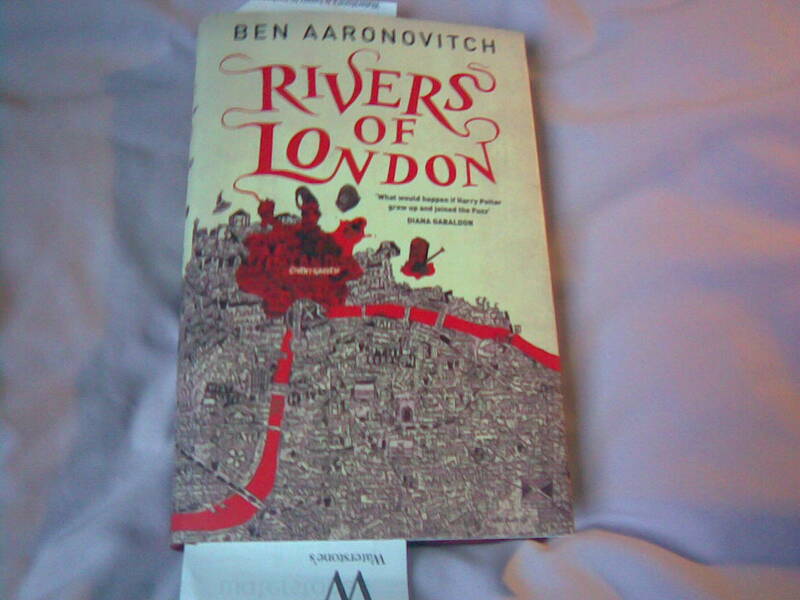 Then yesterday, I didn't have anything to read on the train home from London, so I gave up and bought it anyway :-) (It's also a signed copy, which helped convince me - I think signed copies are cool.) I'm loving it so far, and I'm sure I'll be posting my review soon. This is something new I want to start doing, just to collect together links for what we've posted this week at The Book Bundle. 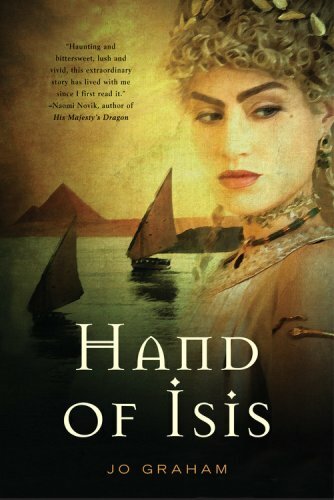 Set in Ancient Egypt, Hands of Isis, tells the story of Charmian, a handmaiden and sister to Cleopatra from her childhood to her death and beyond. The story is told from the perspective of Charmian, and although the blurb on the back calls it 'a novel of lovers' the story is more about the sisterly love between Charmian, Cleopatra and Iras. It's an easy read, that was enjoyable. However in my opinion the novel didn't bring anything 'new' to the story of Cleopatra, although it tried. Similar to Black Ships, Graham brings elements of fantasy/supernatural into her story, trying to bring a new spin to an already well told tale. I thoroughly enjoyed this element in Black Ships but I don't think it translated for Hands of Isis. It felt quite forced and a bit silly, especially in regards to non egyptian characters. Understandable, one could understand a religious egyptian relating to past lives and egyptian gods, but Julius Caesar and Agrippa? It just pulled me out of the story. I think this extra element was unnecessary, I believe focusing on the sisterly love which is touched on, without the explicit religious overtones would have been much more interesting (and a side of Cleopatra that has never been explored in historical fiction as far as I know). I'm probably being highly critical, but this was still an enjoyable entertaining book, but due to certain elements which just didn't feel right to me, I'm giving it 6 stars. Released: Jan 2011 - out now! On the night their world changes, Marco's young cousin prays in the family chapel for deliverance from a forced marriage. It is her misfortune to be alone when Mamluk pirates break in to abduct her – an act that will ultimately trigger war. Elsewhere Atilo, the Duke's chief assassin, cuts a man's throat. Hearing a noise, he turns back to find a boy drinking from the victim's wound. The speed with which the angel-faced boy dodges his dagger and scales a wall stuns Atilo. He knows then he must hunt him. Not to kill him, but because he’s finally found what he thought was impossible – someone fit to be his apprentice. 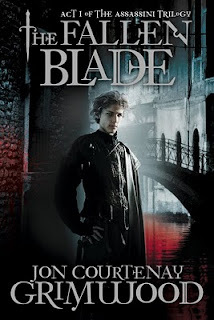 My Thoughts: Fantasy in Medieval Venice, with vampires and other nasty beasties? What's not to like about that? I was very excited by the premise, so I was eager to read this book. 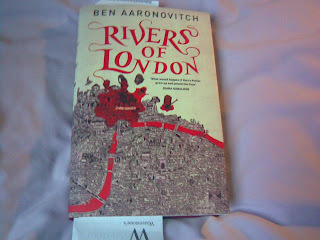 Overall, I did enjoy this book, but I found it quite hard going in some places. I love stories about Venice, especially Venice in this time period - there's just so many interesting things going on. I found it quite hard to get into the book - it was a bit confusing as to what was happening where, to who, etc. (And I'm sorry to say, I think I wouldn't have been quite so confused if I was holding an actual book and could flick back and forth easily, look at the map quickly, etc - but this isn't the place for a books/ebooks debate.) It wasn't just keeping track of the characters though - I didn't always understand what time events were taking place compared to things that had been in the previous, or even same, chapter. That said, though, once I got into the book and had got to know the central characters, it was very interesting. I got to that stage of reading where I get caught up in the story, then look up to realise I've gone through over a hundred pages without really noticing how long it was. Be warned that this is not a happy book. It's very dark and creepy in some places - and there is one particular scene not too far into the book that I wish I'd skipped over more - I partially skimmed it, and I wish I'd just jumped over it altogether, because it was not pleasant to read at all. It was a very well built world - the supernatural elements were carefully woven into the rest of it. The 'young cousin', Giulietta, was my favourite character. Although she's spoiled and doesn't really think about others much to start with, this is understandable with the way she has been brought up, and I like the way she changes over the story. The other main character, Tycho, was also interesting to follow, and I liked seeing him learn more about the city he finds himself in, and how to survive there, even if his head is quite a dark place to be sometimes! It was a very gripping story once I got in to it, but it's not a book you can dip in and out of. It's an interesting new world, and I will probably read the sequel, because I want to know where the political machinations end up, but the complexity and creepiness were just too much for me sometimes. I'd recommend this book to fans of fantasy series. I give it 6 out of 10.